Beautiful Vintage Wall Clock. Handmade from wood and hand painted. 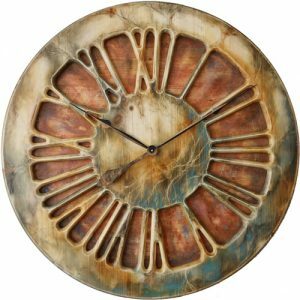 Beautiful vintage wall clock handmade from wood and hand painted. This piece is another member of our skeleton collection. It displays large Roman Numerals with transparent background. Unlike many popular hollow timepieces on the market, our skeleton designs have truly three dimensional look. We achieved this by attaching narrow rim to the back of the face. 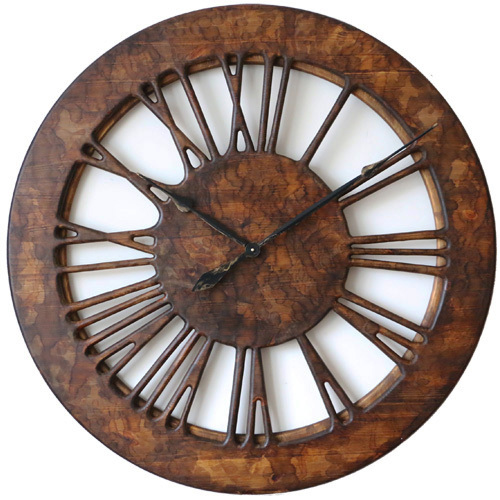 This vintage wall clock is available in three different sizes depending on your available wall space. 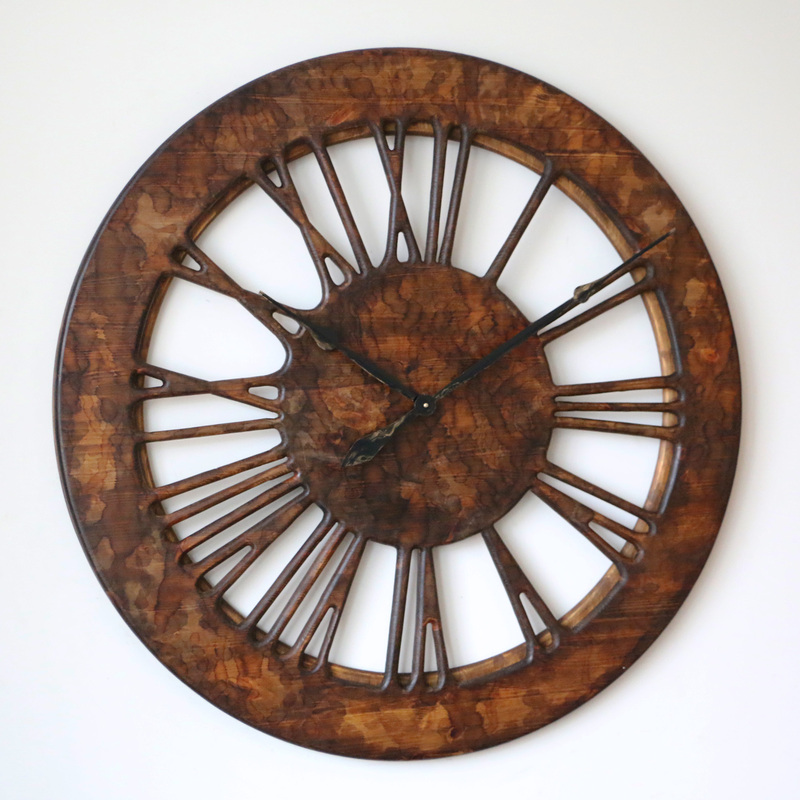 Our remarkable collection of handmade timepieces has just gain this new member. 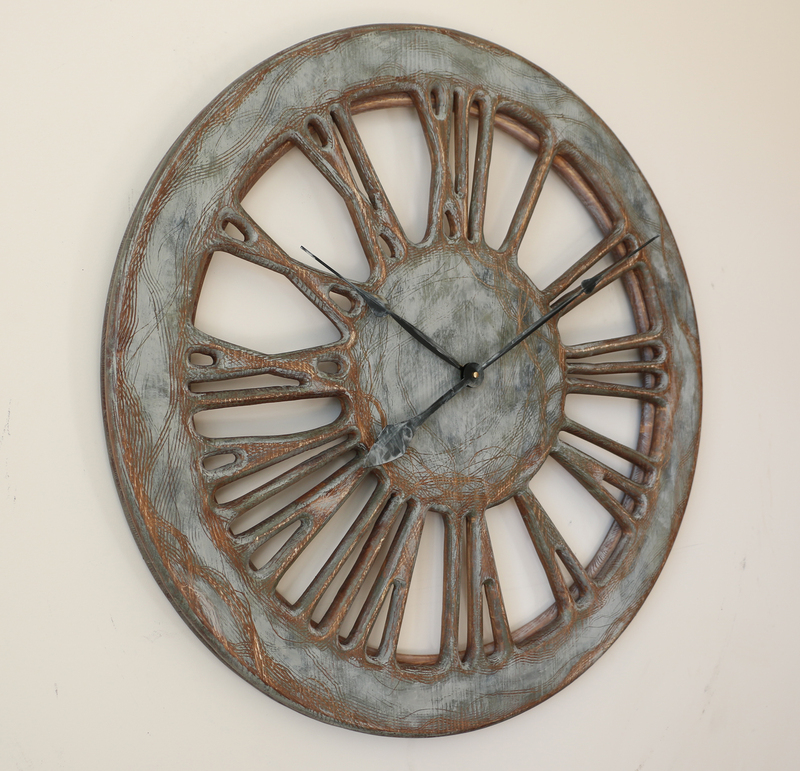 The vintage wall clock is a newer version based on the previous design. We had a number of customers asking for a dark-skinned timepiece with our trademark Roman Numerals. 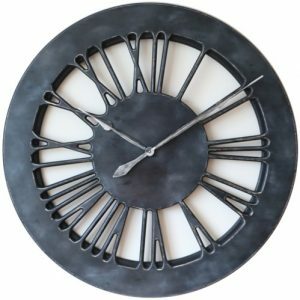 Like all other skeleton wall clocks in our online shop it has truly three dimensional appearance and strong “wow” factor. Since mid 2017 we are offering all of our handmade timepieces in three different sizes. 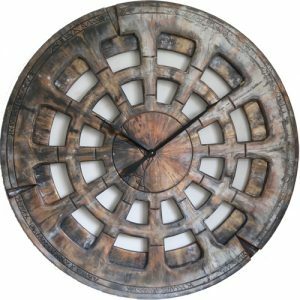 Although the most popular are measuring 40″ in diameter, you can also select 30″ or 48″ as required. We believe that those options provide you with enough choice depending on your available wall space. 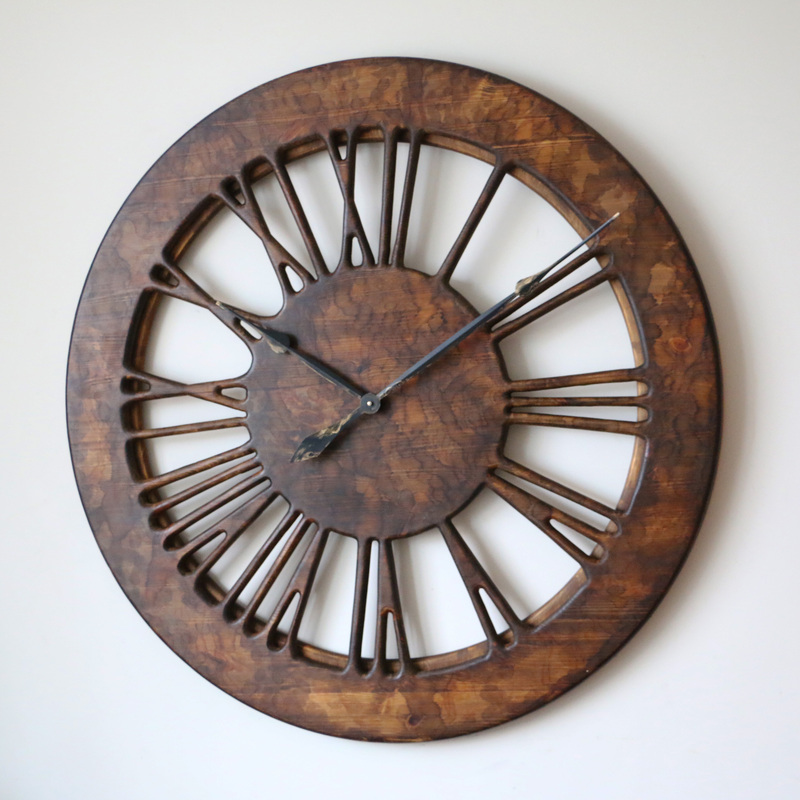 In the end of the day if you are looking for a true statement clock you can’t really go below 30″. On the other hand anything more than 48″ would most certainly require different mechanism and power from the mains. 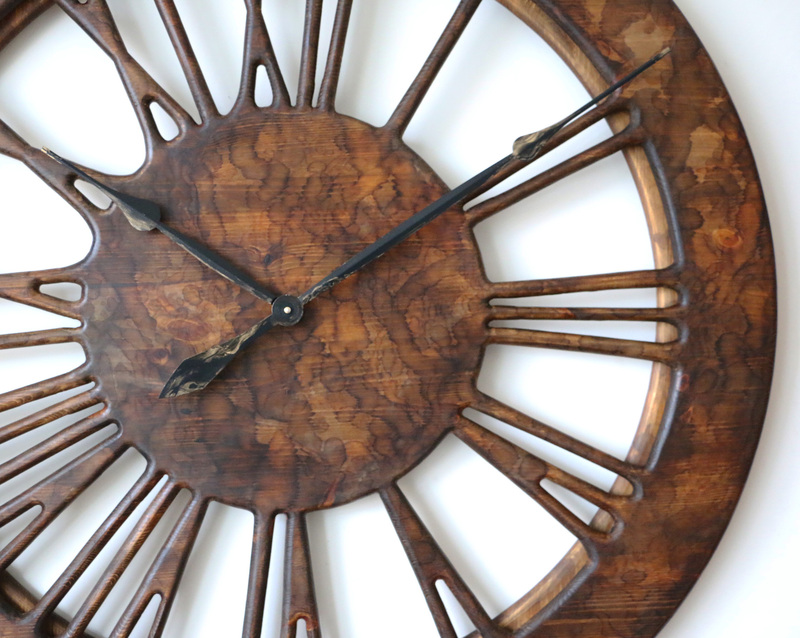 All our wall clocks need single C-Cell battery so you don’t need to worry about drilling the walls. They are fitted with a quiet and powerful mechanism which should work around 9 months on a single battery. We think that all of our customers are looking for uniqueness and the new ways to add character to their living space. 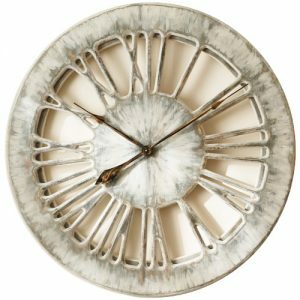 The main reason Peak Art is filling the void in this niche market is because unlike other companies we aren’t simply clock manufacturer. 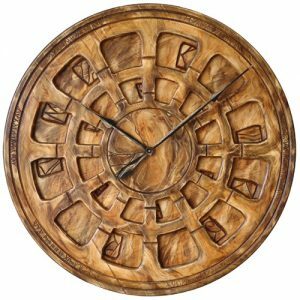 In most cases we make the clock to order and stay in touch with each customer throughout the process. Sometimes people are asking for a design that doesn’t exist yet or require slight alteration to what we have available. We are always striving to deliver value so don’t hesitate and contact us today. Regardless of the size or design you select you can rest assured that you will receive the most stunning piece of art. 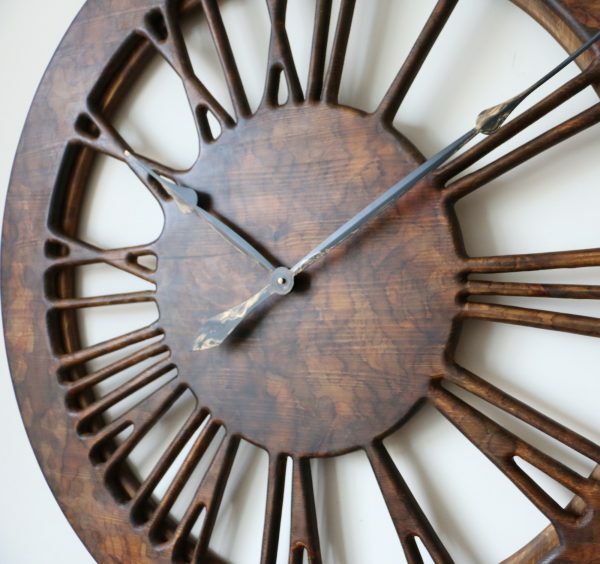 Whether it is a vintage wall clock or one of the contemporary timepieces the quality and customer service remains world class.